Arbor Inn & Suites | Lubbock TX Hotel – Pet Friendly! Leave those cookie cutter franchises hotels behind and experience the family operated difference of the Arbor Inn and Suites! Our Well-Appointed Rooms were rated “excellent” by travelers on Trip Advisor. Our Single King room is our standard luxurious room that caters to the overnight guest seeking comfort. Our Double Queen rooms have two separate living areas with extensive square footage to spread out. The spacious King Suites are distinct to Arbor, the extra space is great for families with children. 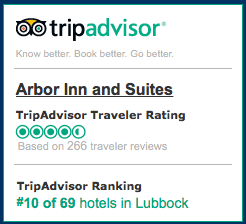 Leave those cookie cutter franchises & experience the family operated difference of the Arbor Inn and Suites in Lubbock Texas! Arbor Hotel and Conference Center in Lubbock Texas, guarantee the luxury, comfort and enjoyments you’ve been hoping for! © Copyright Arbor Inn and Suites | All Rights Reserved | Lubbock Web Design By Stallings Design Co.